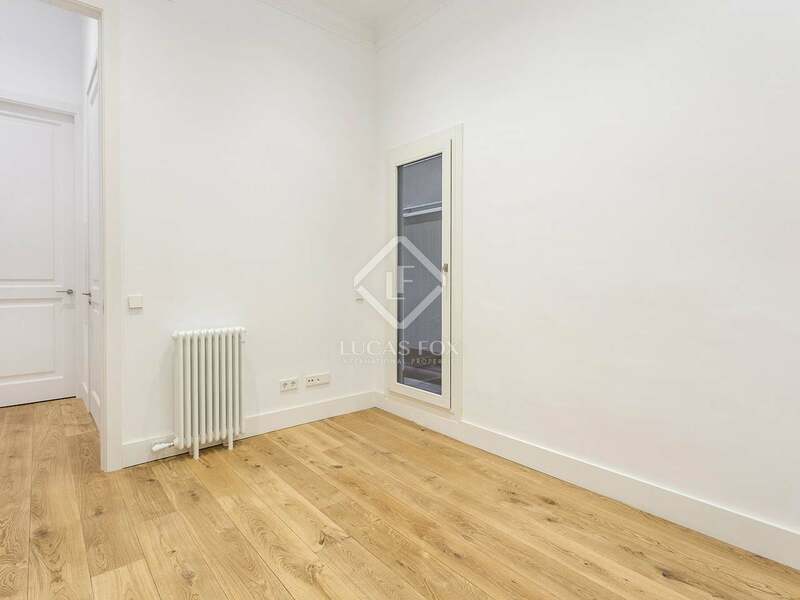 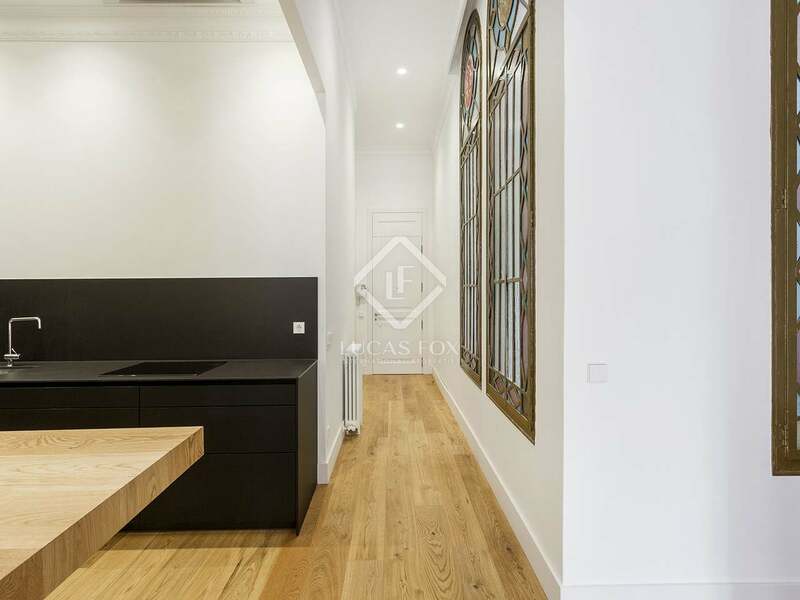 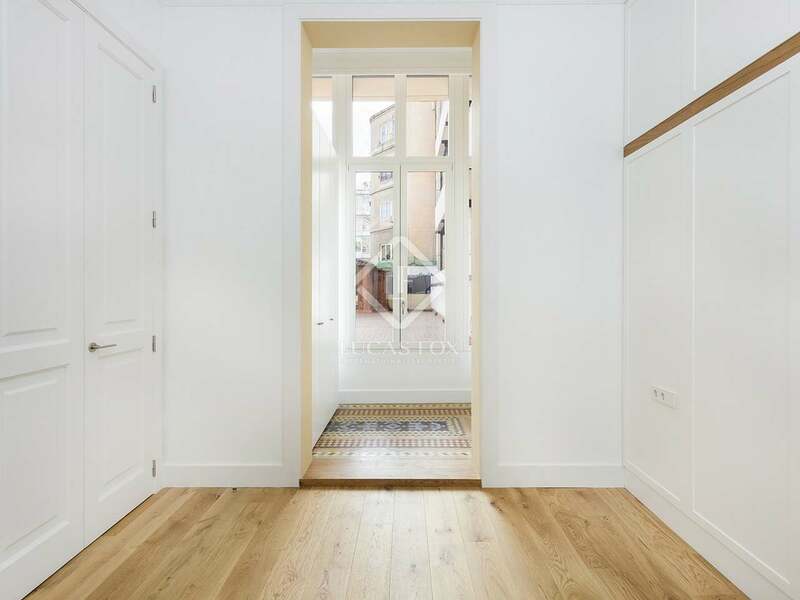 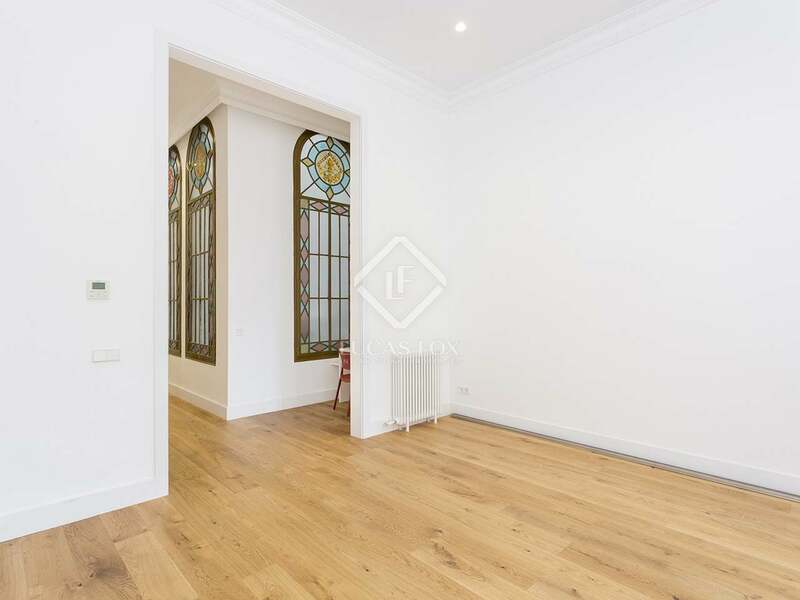 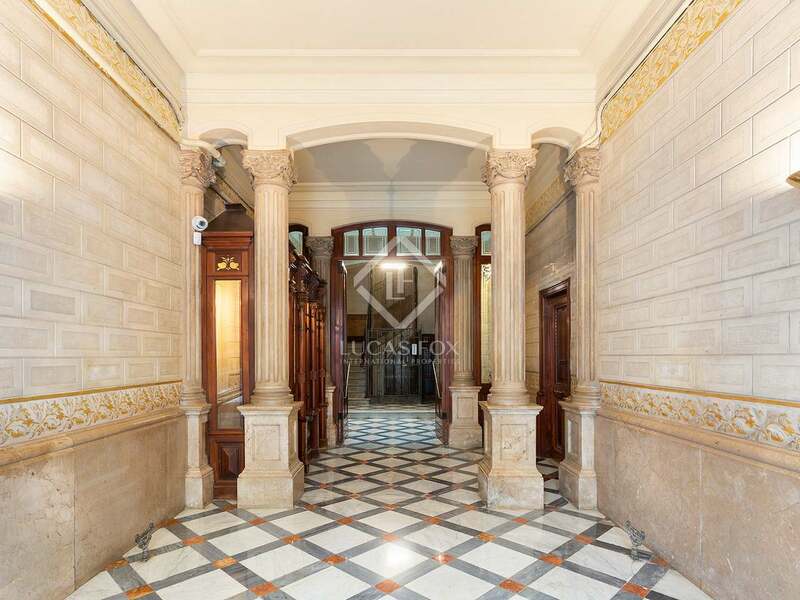 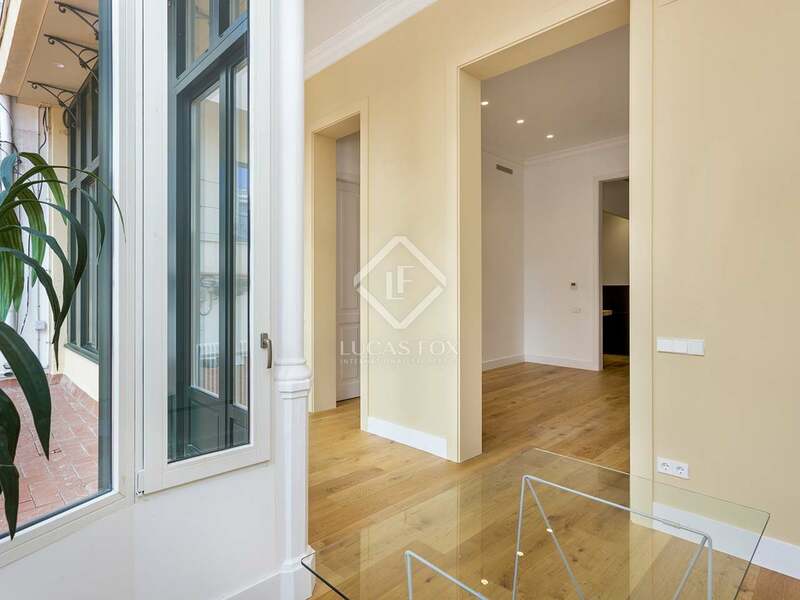 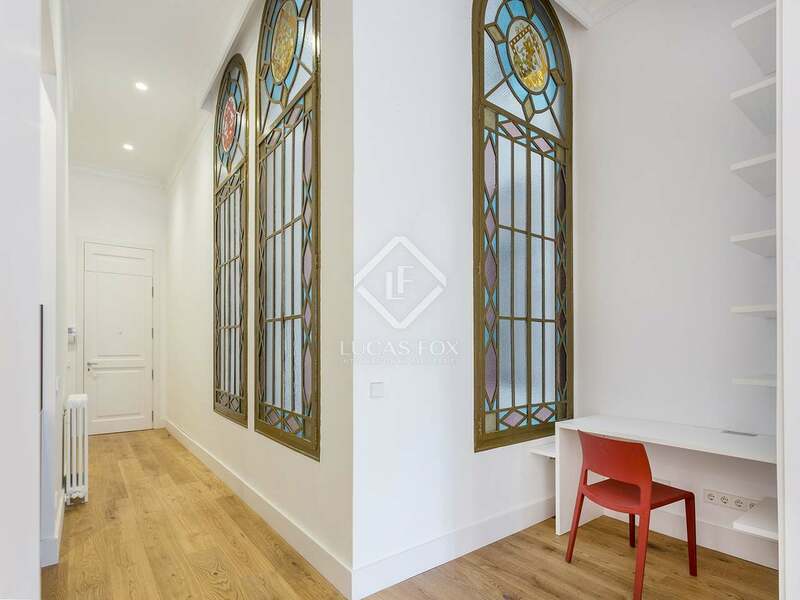 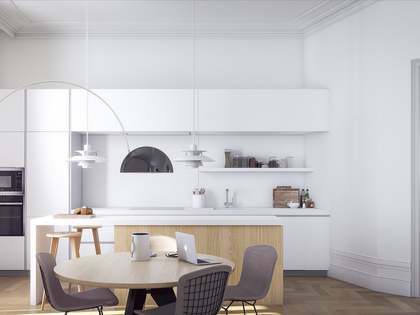 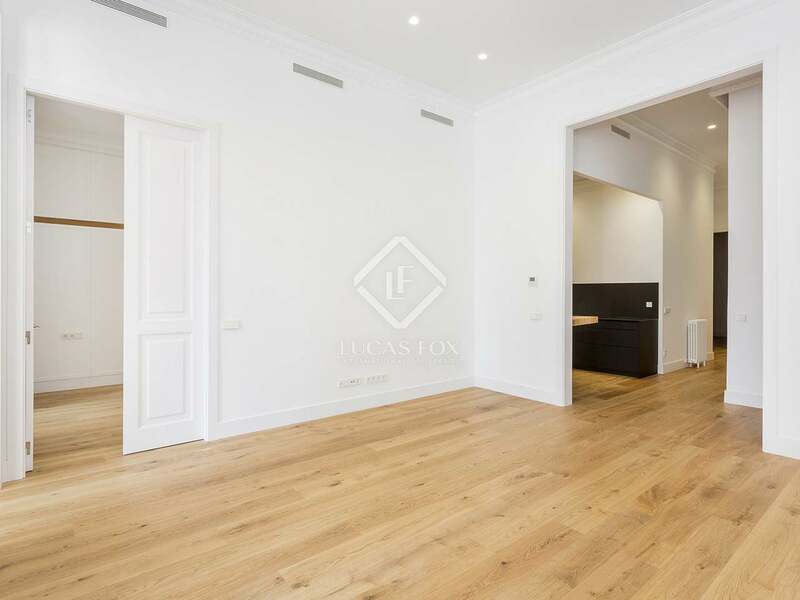 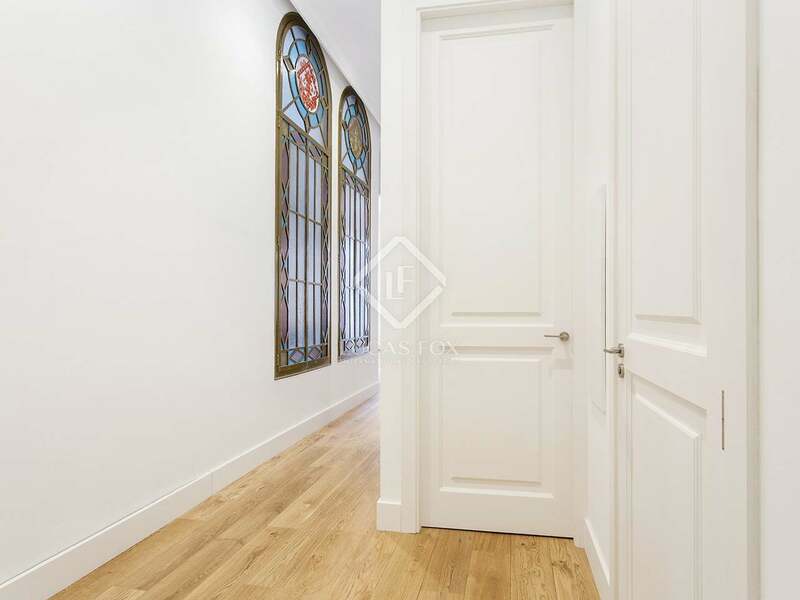 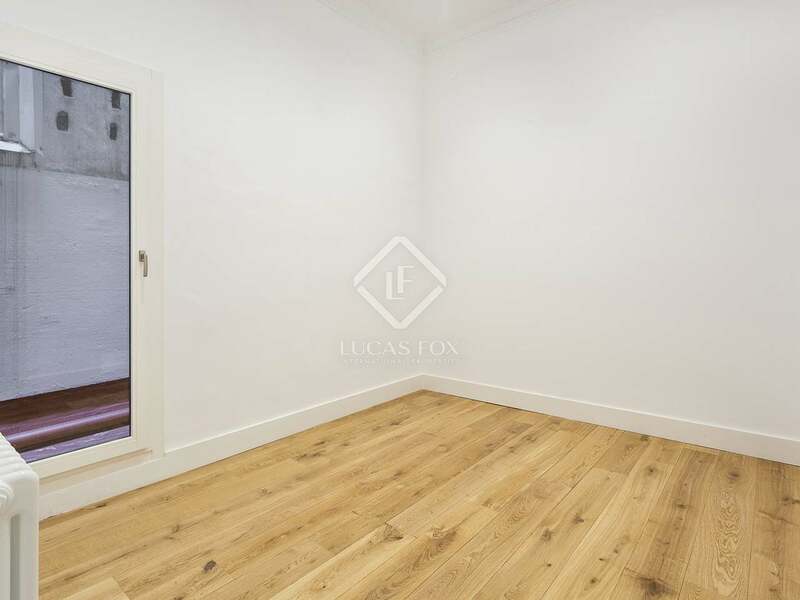 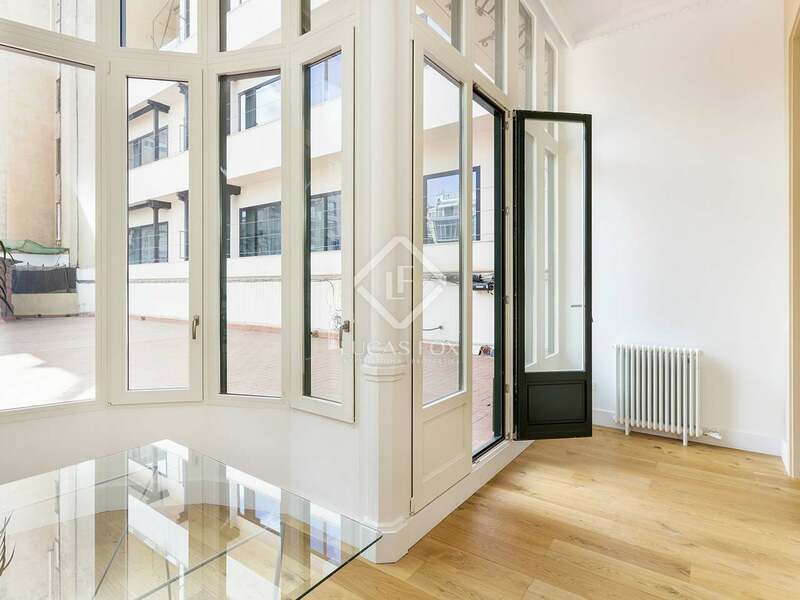 Stunning, renovated apartment with original features, in a historic building close to Passeig de Gràcia, Barcelona. 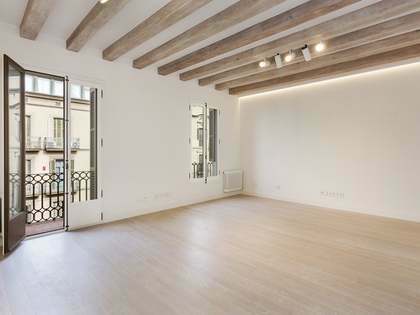 This newly renovated apartment is within a modernist building just steps from Barcelona's Passeig de Gràcia. 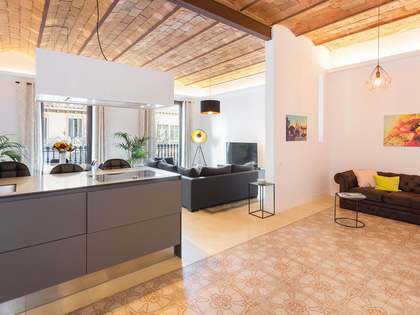 Surrounded by designer stores and exclusive restaurants, as well as some of the city's most famous landmarks, the area is the most highly sought after in Barcelona city centre. 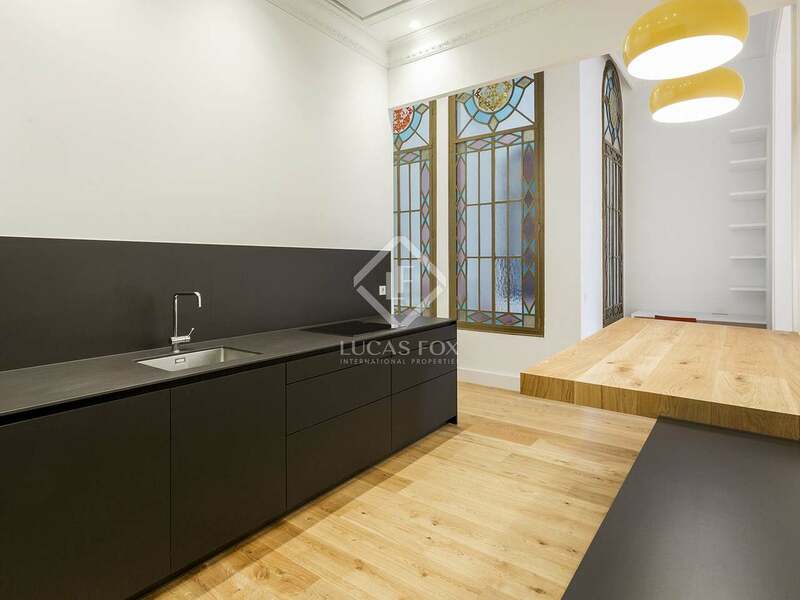 The building itself is historic yet the apartment has been fully renovated with top-quality finishes for a modern lifestyle. 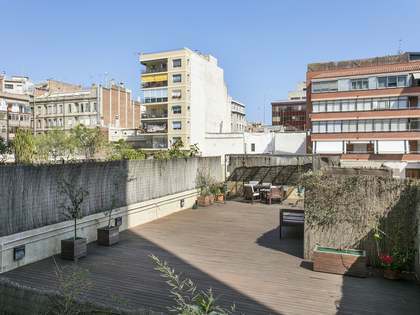 The apartment boasts a fantastic 163m² terrace plus an interior courtyard, providing enviable outdoor space in a city centre location. 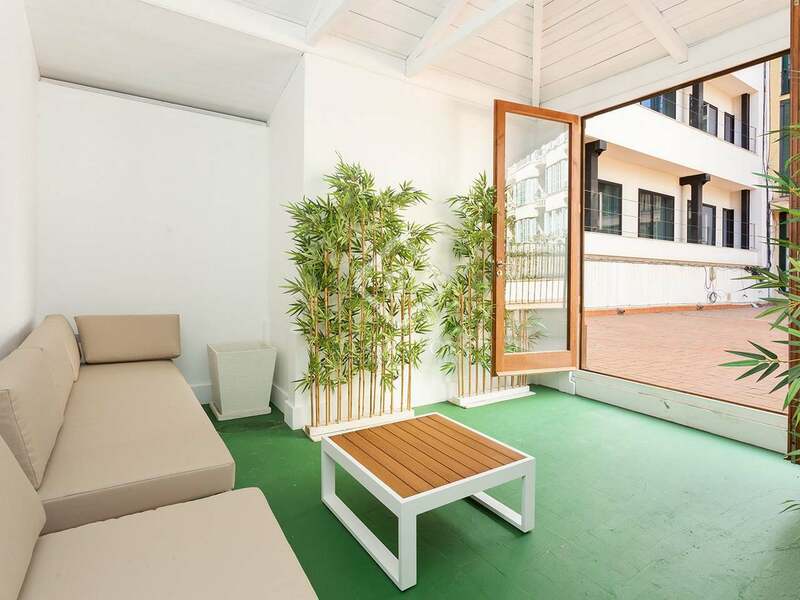 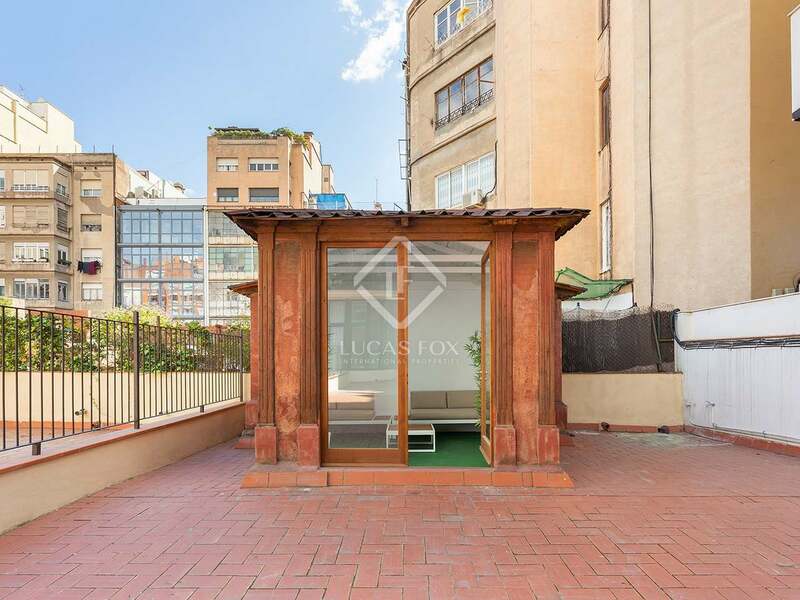 A small annex on the terrace can be used for various purposes. 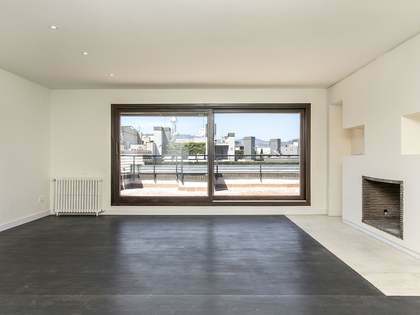 The terrace is accessed via a gallery, with large windows this gallery allows abundant natural light to flood the adjoining living area. 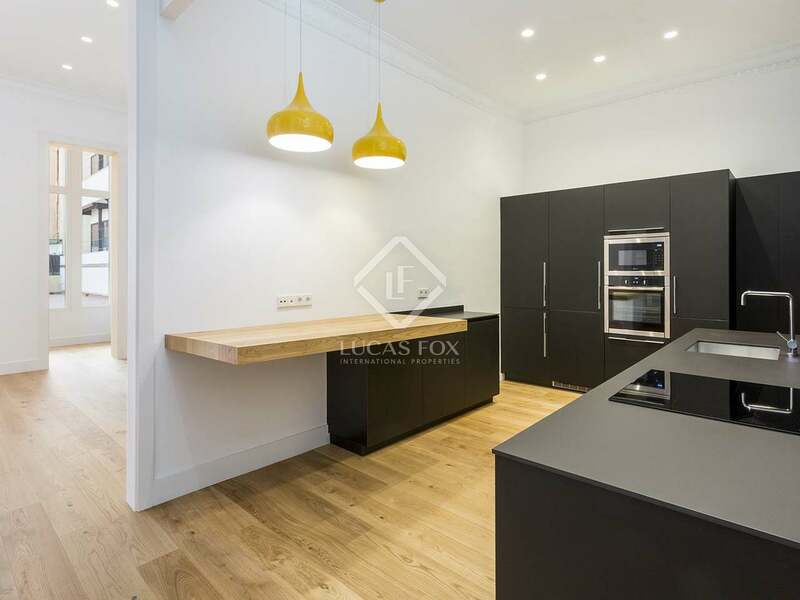 The main entrance leads to the open kitchen, fully equipped with the latest appliances, and with a utility area. 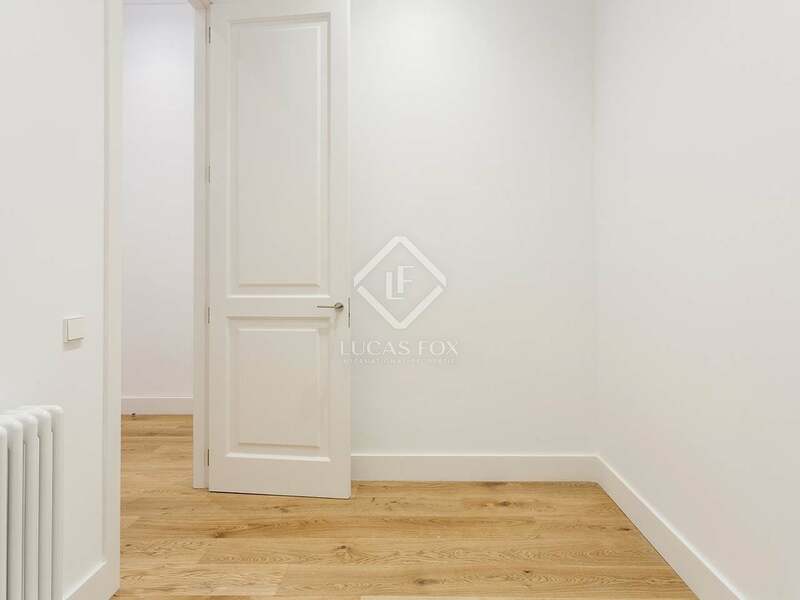 The welcoming master bedroom is elegantly decorated and has an en-suite bathroom and original dressing room; restored, authentic Noia mosaic flooring add a touch of colour and warmth. 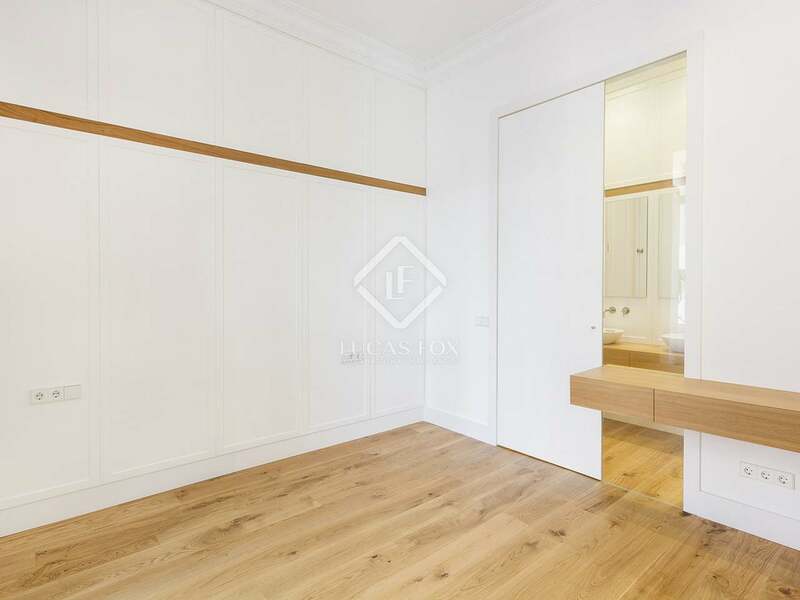 There are 2 further bedrooms which share a second bathroom. 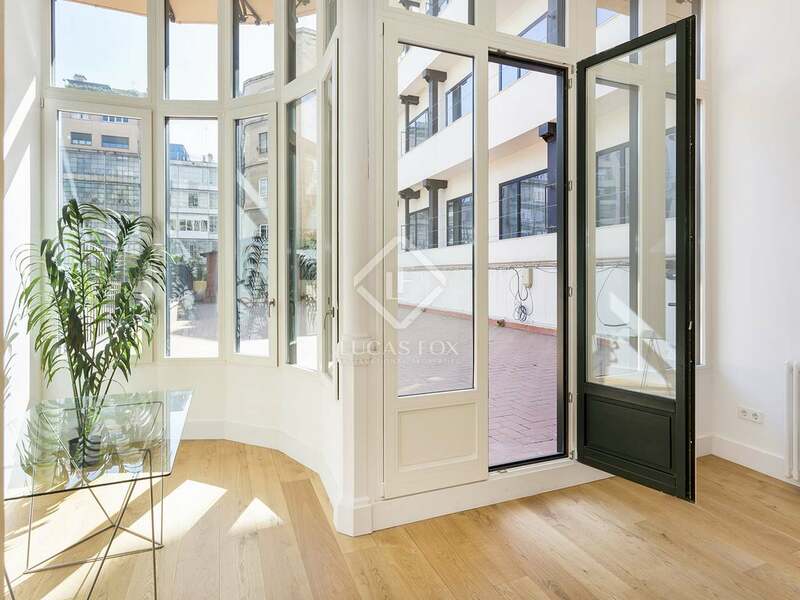 An area dedicated to reading and studying, with stunning floor-to-ceiling windows facing onto the interior courtyard, complete this magnificent home. 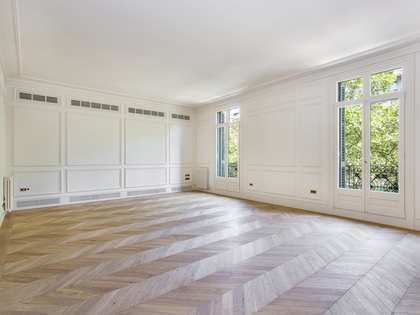 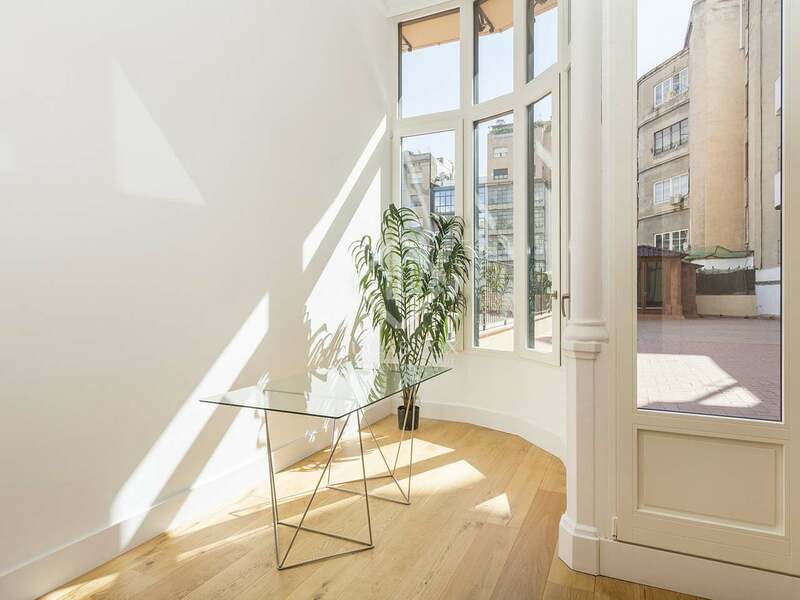 This is without doubt a very special apartment for sale in an exceptional city centre location. 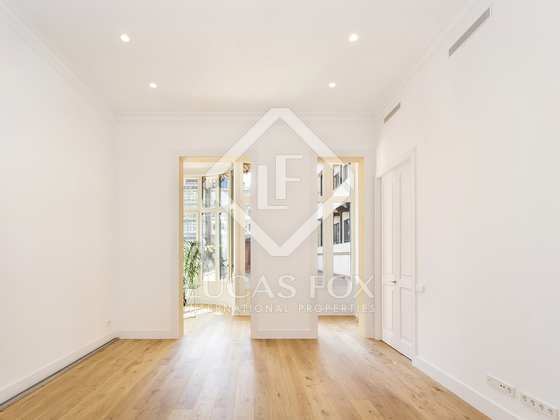 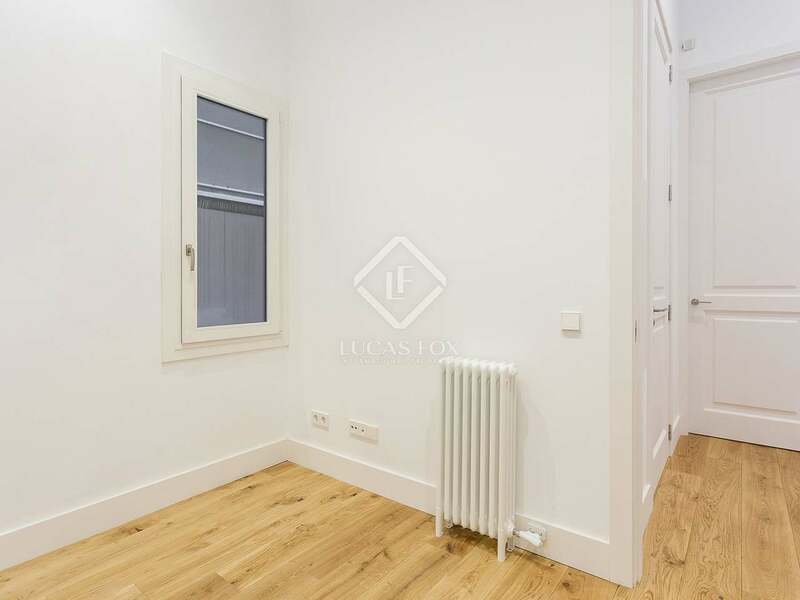 Apartment located in Barcelona's Eixample neighbourhood, close to the exclusive and highly sought after Passeig de Gràcia. 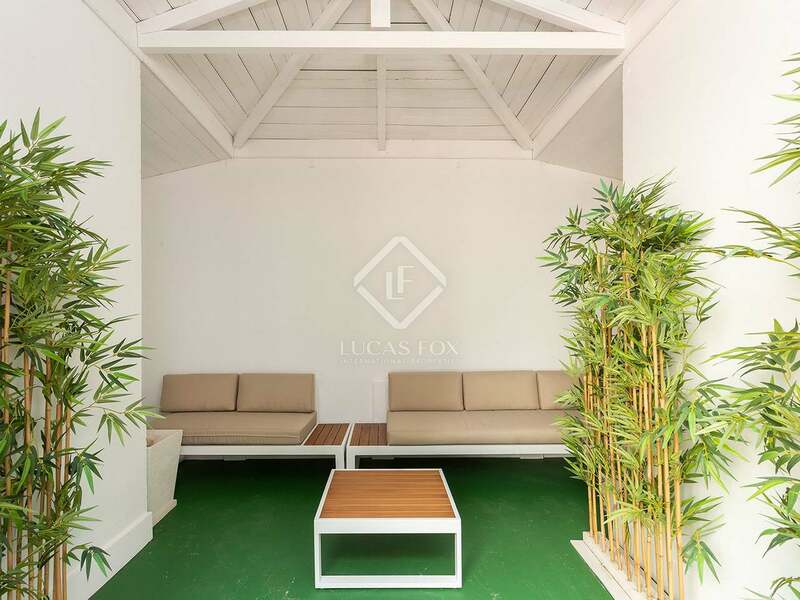 The area has designer stores, excellent restaurants and bars and is very well connected to the rest of the city and surrounding areas.